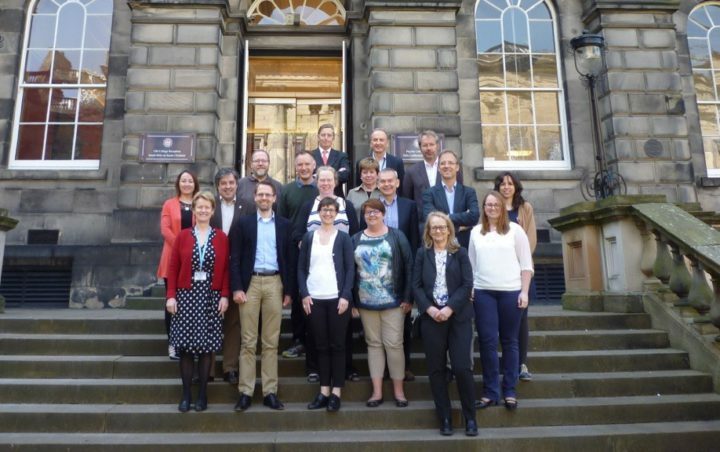 On Monday 9 and Tuesday 10 May, the University of Edinburgh held the meeting of Eurolife. During two days, the Steering Committee (SC), the Education Alliance and the Administrators met together. The SC meeting was opened by Dr Philippa Saunders, Director of Postgraduate Research and Dr Brian Walker, Dean of Research, both from the College of Medicine & Veterinary Medicine. They welcomed the 22 participants and emphasised the important role played by Eurolife representatives since they guarantee the active participation of each university member in the network. Afterwards, they described the scope of the medical and biomedical research at the University of Edinburgh. During the meetings, specific issues that are currently debated within Eurolife were took into consideration. Among these topics, new Eurolife initiatives and the renewal of the Eurolife website were discussed. It is exciting to see that European Universities work together with a common objective!